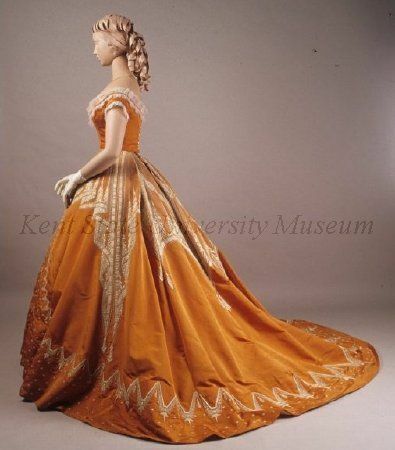 Beautiful Dress: 1858-1860 Brown silk with pink leaf design dress. Has double points on bodice front, heavy brown braid trim, American, bodice closeup. 1858-1860 Brown silk with pink leaf design dress. 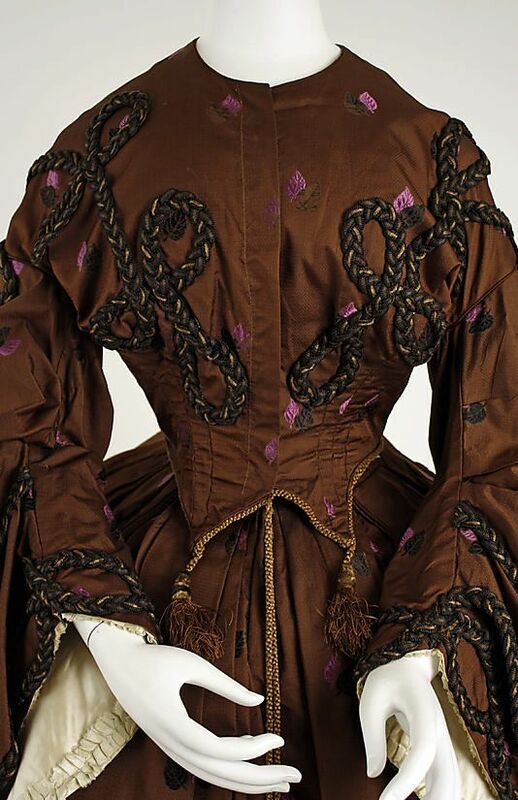 Has double points on bodice front, heavy brown braid trim, American, bodice closeup. 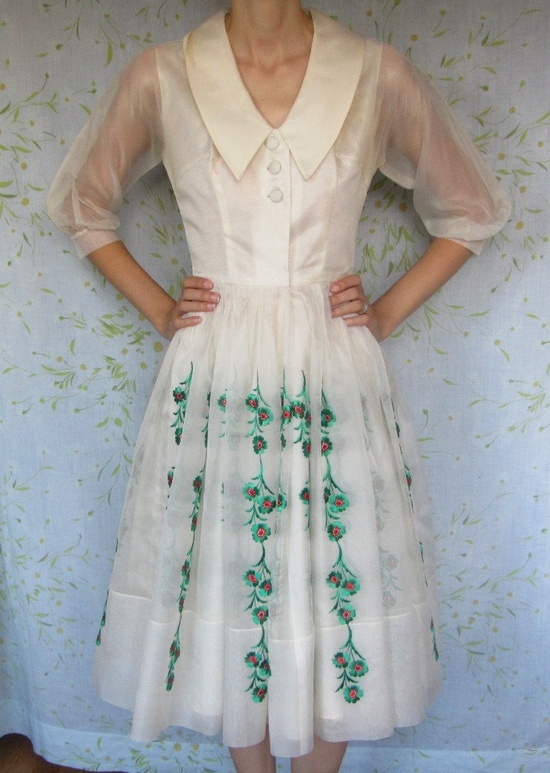 Vintage 50s ivory organza dress - Etsy.